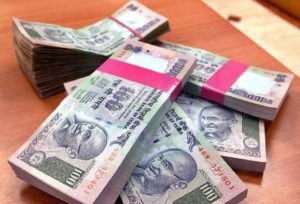 A salesman who works in a saree showroom got a reward after he found 10 Lakhs in an unattended bad on a road and decided to return it to its real owner. Dilip Poddar, a salesman at a saree showroom in Umra got a reward of Rs. 2 Lakhs for returning the bag that had Rs. 10 Lakhs in it. Last week, when Dilip was returning to the showroom after he had his lunch, he saw an unattended bag on the road. After Dilip opened the bag to check out what was inside it, he saw bundles of Rs. 2000 bills which had a total sum of Rs. 10 lakhs. Instead of stealing the money, Dilip Poddar informed the manager of his showroom about the incident, the manager advised Dilip to keep the money and the bag with him until the real owner of the bag is found. Officer KA Gadhvi from the Umra Police Station said that after Dilip reported the incident to the police, the owner of the unattended bag was found by using the CCTV cameras that were present in the area. After some time, the police reached out to Dilip and asked him to hand the money over. Officer KA Gadhvi said that the bag and the Rs. 10 lakhs were returned to its real owner, the owner has asked the police to not reveal his name. The owner of the bag gave Rs. 1 lakh to Dilip as a reward for his honesty. Hriday Pachchigar, a jeweler, also gave Dilip Rs. 1 lakh at the Umra Police Station. Hriday said that the Rs. 10 lakhs that he returned was used to buy jewelry from his jewelry shop.